The Arizona Association of Student Councils Hall of Fame began in 2007 with Dr. John Mansour. Since that time, it has grown to include 13 distinguished members, ranging from former Advisors and former Executive Board Presidents, to Businesses who have served in an outstanding capacity over the many years AASC has been in existence. This honor is awarded annually at the AASC State Convention. The members of this elite group helped to make the Arizona Association of Student Councils what it is today. If you know someone who is deserving of this honor, please do not hesitate to contact the AASC Executive Board with who and your reasoning. Carol Lynn Caruso was born on December 14, 1954 in the Greenbush neighborhood of Madison, Wisconsin. She passed away on February 6, 2018 in Phoenix, Arizona. She is survived by her parents Alphonse and Carrie Caruso, her siblings Rose Roberts, Patricia Caruso, Jim (Marla) Caruso, and Mike Caruso. She is also survived by her son Anthony Tapia (Molly) and her grandsons Caleb and Eli. 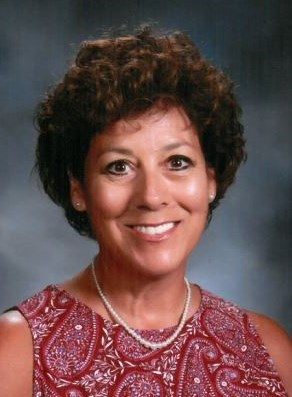 Carol Caruso was served as a Guidance Counselor at Bourgade Catholic High School where she also served as the Student Council Advisor. She was highly involved in AASC where she served as an Executive Board Member, President of the AASC Executive Board, and a member of our Summer Camp Staff where she worked with all levels of our groups but had a fondness for working with our Adult group. Carol was instrumental in formalizing the AASC Leadership Scholarship Program which now bears here name as the “Carol Caruso AASC Memorial Leadership Scholarship” Carol made certain that her students from Bourgade Catholic High School were always active members of the Arizona Association of Student Councils as was she. Carol’s life was marked by her deep love for people and a devotion to servanthood. As a counselor at Bourgade Catholic High School, she enjoyed helping students find the right college to attend. She was active in the faith community as a youth leader and led many mission trips with Amor Ministries to build homes in Mexico for under-resourced families. She was active in the Aguila Leadership Development Program and she was a trusted confident, friend, supporter and encourager to many throughout her life. Above all, she was a dedicated daughter, mother, grandmother, friend, and family member and an outstanding role model for many.